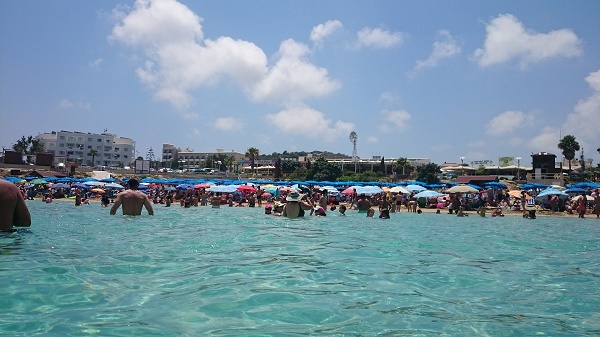 There is an increasing number of foreign nationals planning on moving to Cyprus, adding to the country’s expanding expat population which is now estimated at 562,012. There are two main ethnic groups in the country – Turkish and Greek - but a large number of European expats have been establishing a strong presence in the country over the recent years. Add yourself to the mix after comparing the services and quotes from top international moving companies with ExpatFinder. Cyprus is the third largest and third most populated island in all of the Mediterranean and is located south of Turkey, north of Egypt and east of Greece. Known formally as the Republic of Cyprus, the island has a rich history of the earliest human activity dating back to the 10thmillennium BC. Cyprus holds some archaeological sites, as it was occupied by several civilizations and empires, notably the Assyrians, Egyptians and the Persians. This multicultural influence can still be seen today, as the island features a number of ruins, palaces and forts from various nations which make Cyprus a UNESCO World Heritage area. Today, Cyprus holds a population of about 1,117,000 people and is world-renowned by tourists and expatriates alike for its splendid beaches; high human development index and warm weather. To relocate to Cyprus, expats will need to obtain a long-term residence permit to stay for an extended period. When applying for a permit, only certain expats who fall into specific categories can acquire an immigration permit. Categories where expats can qualify for a permit fall under the intention to be self-employed, have been offered permanent employment within Cyprus or have enough money to stay in Cyprus without needing to work. It is important for expats to note that the success of their applications depends on the Immigration Control Committee of Cyprus. 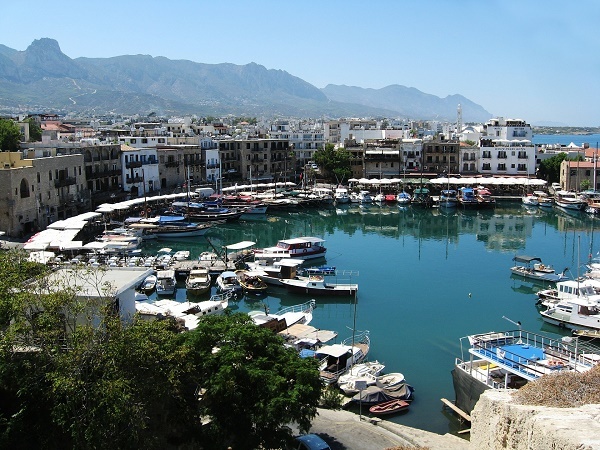 Tourist visas are also offered and are issued by Cyprus embassies and consulates. While passports are required to enter the country irrespective of the type of visa, EU citizens and those from Norway, Switzerland and Iceland are excluded from this rule. Although English was the official language of Cyprus during British rule, Greek and Turkish are the two main official languages within Cyprus. Other minority languages spoken in Cyprus include Armenian and Cypriot Maronite Arabic. English-speaking expats will be glad to hear that English is still widely spoken, with many road signs and advertisements being featured in English. About 80.4% of the local population can speak English as a second language, with 12% of the population being able to converse in French, and 5% of the population being able to speak German. Presently, Greek Cypriots compose about 77% of the population, with Turkish Cypriots making up 18% and Russian Cypriots making up 5% of the Cypriot population. Major religions in Cyprus include Greek Orthodox, which is followed by Greek Cypriots while most Turkish Cypriots follow Sunni Islam. Other religions include 1.5% Roman Catholics, 1.0% of the Church of England and 0.6% Muslims. There is a lot that Cyprus has to offer expatriates, as the warm climate and rich historical and cultural diversity make the city a wondrous place to move to. Cyprus has a growing community of expats who may, from time to time, need to ship belongings from their country of origin. As with any other destination in the world, Cyprus implements a few guidelines that have to be followed for a smooth shipment. Documents to be secured include the shipper's residence visa, a passport issued within two years prior to the shipment date, an inventory of the items in the shipment, exemption certificates when applicable, and a rental or lease agreement proving the shipper will be staying in Cyprus for at least a year. Customs regulations also require the shipper to be in Cyprus to be able to sign a customs declaration in the presence of the customs officer. Shipments to Cyprus consisting of household and personal effects may be shipped duty-free but will still be subject to different taxes. Hence, the shipper must be able to prove that the goods are in reasonable amounts, for personal use and have been in owned by the shipper for at least a year before shipment. Dutiable items will include newly purchased goods, for which an invoice will have to be presented, food, perfume, sports gear, carpets and electric or electronic devices or gadgets, intoxicating drinks, tobacco products and plants for which an import license and phytosanitary certificate will be required. One may not want to bring wireless telephones to Cyprus as these are prohibited, along with other items including drugs, guns and ammunition and pornographic materials. Shipments to Cyprus do not call for any special requirements so it should be fairly easy for expats to move their belongings as long as these regulations are observed. The Republic of Cyprus is a country that borders Turkey, Sicily and Sardinia. It is the third-largest island in the Mediterranean Sea with a total land area of 3,569 square miles and also the most populous country in the region with an estimated population of 1.183 million as of January 2017. Just one look at Cyprus will prove everybody why it is one of the most beautiful and popular destinations in Europe. This country boasts beautiful, vast archaeological landscapes as well as miles of picturesque coastlines and white-sand beaches. Though the British and the Ottoman Turks have undeniably left an impact on this country, it is the Greeks that significantly influenced the local culture. As a matter of fact, the settlement of Greeks in Cyprus dates back 4,000 years ago and to this day, 77% of its total population is comprised of Greek Cypriots. 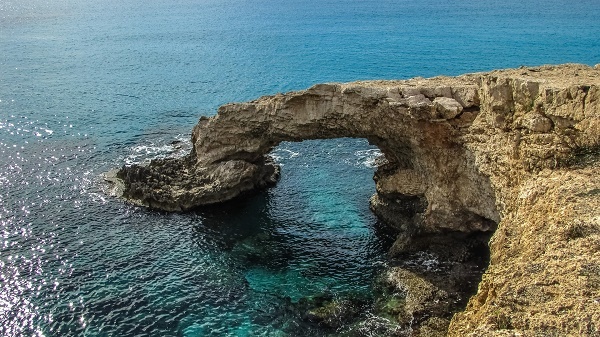 Cyprus is not just a sub-tropical island with a pleasant year-long climate it is also a highly diverse nation that serves as the second-home of hundreds of expats who chose to start a life in the ever mesmerising Mediterranean. Aside from the number of good international schools where learning goes hand in hand with fun, expat parents will also be glad to know that Cyprus has an impressive list of attractions to keep their kids far from bored. One of the top places for families is the Waterworld Water Park, the largest water-themed park in Europe that houses a variety of pools such as the famous Aeolos Whirlpool, Kamikaze Slides and Poseidon's Wave Pool. There is also the Lucky Star Park which is the largest amusement centre in Cyprus where kids can enjoy bump cars, safari trains, monorails, roller coasters and go-karts. Natural thrills such as bird watching can also be enjoyed, especially in North Cyprus where numerous birds migrate throughout the year. Kids can go donkey-watching at the Cyprus Donkey Sanctuary at Vouni Village or even ride on the animals at the Oroklini Donkey Park, both in Limassol. Magic Dancing Waters in Protaras will also enthral children for hours as rainbow-lighted fountains change in colour and dance to the beat of the classical or popular music. In Reptile House in Limassol, the kids will have an unforgettable time watching snakes, lizards, scorpions and other stars of the class Reptilians. Cyprus has one of the highest car ownerships per capita in the world which is why expats will soon notice why driving is the most common mode of transportation by the locals. Road signs in this country are also written in Greek and English which makes it easier for expats to get around. Cyprus also prides itself for having well-maintained roads, sufficient number of petrol stations and minimal traffic even during peak hours. Expats should know that cars in this country drive on the left-hand side and the speed limit on most major roads and highways is 60mph or 100 kilometres per hour. When it comes to public transportation, newcomers should be prepared that there is no operational railway service between some of the towns. However, most major cities particularly Nicosia, the capital, has buses and taxis that residents can ride to and from their destinations. There are two types of buses in Cyprus: the rural buses that connect the cities and surrounding villages and the trans-urban buses that have routes within the city centre. The latter is the considered as the more reliable mode of public transport since it arrives more frequently than the rural buses. Taxis are also common in Cyprus, and the most common are the urban taxis that operate 24 by seven across all major cities. Expats that are about to relocate to Cyprus should know that the locals speak two main languages, Greek and Turkish, which are both considered central to the Cypriot culture. People are innately humble and respectful with the family at the centre of society. Elders, in particular, are treated like royalty. There are several cultural habits and etiquettes in Cyprus that expats would be wise to observe. Cordiality is another one of the locals' noteworthy traits. Shaking hands and maintaining eye contact, especially during introductions, is very important, as well as saying goodbye to each person as one leaves a group. When invited to a local's house, it is expected that one bring food or drinks, but none of it must be eaten until the host initiates partaking of the meal. When passing food across the table, only the right hand must be used. They are also very punctual workers, and while eternally conscious about performance, they do not hesitate to hold their opinions to save a colleague from embarrassment during business functions.